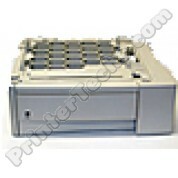 HP LaserJet 2100, 2200, and 2300 optional lower cassette 500 sheet C7065A -- Refurbished. Letter and A4 only, this tray does not hold legal paper. 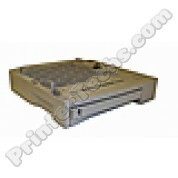 HP LaserJet 2100, 2200, and 2300 optional lower cassette 250 sheet C4793A -- Refurbished. Adjustable tray, will handle letter, A4, and legal paper.